The NFL fantasy football landscape has finally started to even out—for regular fantasy owners and experts alike. It was tough sledding over the first few months for all as the usual ebbs and flows kicked in while new-season developments occurred. Guys like Dak Prescott fell all the way off the map, while weird breakouts like Ryan Fitzpatrick stole the show. Heading into the biggest part of Week 9, the outlook only slightly improves, as nobody saw Nick Mullens' three-touchdown performance on Thursday coming. 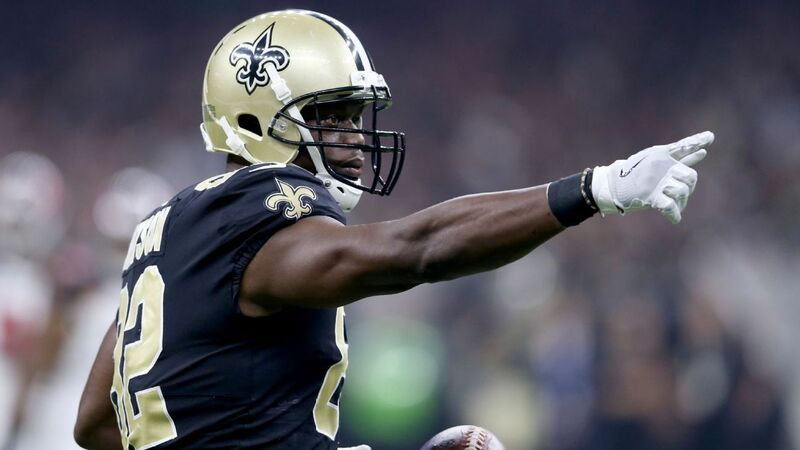 Luckily for all, experts have nine weeks of data to comb through while making projections, so let's look at some of the most notable from FantasyPros, which aggregates more than 100 experts to come up with consensus rankings. Say hello to the weird breakout again. Fitzpatrick is back as the starter for the Tampa Bay Buccaneers because Jameis Winston imploded last time out, tossing four interceptions before getting yanked from the game. All Fitzpatrick did on limited snaps and presumably no prep with the first team was throw for 194 yards and two scores on just 15 attempts, good for 19.56 points. While this might be a misguided way for an average team to try to compete the rest of the season because the front office might have jobs at stake, it sure doesn't hurt fantasy owners. Fitzpatrick next gets to take on the Carolina Panthers, owners of a defense allowing the 14th-most points to opposing quarterbacks on average this year. Even that number is inflated because they had cupcake matchups against Prescott, Alex Smith and Joe Flacco to make the numbers better than they really are. Guys like Carson Wentz and Matt Ryan went for 18.7 or more against the unit, so Fitzpatrick certainly seems to have the upside of a top-10 player at his position this week. It wasn't unfair to lump Washington Redskins quarterback Alex Smith in with the average quarterbacks above because the offense has lived or died with Adrian Peterson and nothing else. Fantasy owners hinging it all on a 33-year-old running back is a scary proposition, but it is one of those situations where hopping on the train until it stops is the best approach. After all, Peterson has four trips to double digits this season, with three of those checking in at 21.6 or more points. To date, he's averaging 4.6 yards per carry with 587 yards and four scores, with his worst games typically coming in losses where game flow took him out of the equation—like when the Redskins took on New Orleans. The Atlanta Falcons make Peterson a no-brainer in Week 9. Those Falcons cough up the fourth-most points to running backs this year, having let seven opposing backs reach double-digit territory—only one of those fell short of the 20-point mark. With Chris Thompson out, Peterson will handle every-down duties and even get targets against a defense that can't contain opposing backs through the air. Emmanuel Sanders was explosive even with Demaryius Thomas on the field. With the Denver Broncos shipping away Thomas, things look even better for Sanders—and especially going into a matchup against the Houston Texans (and his former teammate, Thomas). Even before the trade, Sanders had double-digit outings in six games, hitting 21 or more points three times in the process. 3 straight games with a 40+ yard catch for Emmanuel Sanders (tied for the 2nd longest streak this season). Sets up a Phillip Lindsay TD, his second in as many weeks. At first glance, Sanders has a tough matchup considering the Texans only permit the eighth-fewest points to wideouts this season. But more than 100 experts have him among the top 12 plays at the position for a reason. In short, the points-against number is deceptive here. Those Texans have faced a not-so-imposing list of No. 1 wideouts this year: Phillip Dorsett, Corey Davis, Allen Hurns, Kelvin Benjamin, Donte Moncrief, DeVante Parker. Parker, T.Y. Hilton and Odell Beckham Jr. still hit 13 or more points against the unit, and Sanders shouldn't be an exception. He might have better upside, too, given his conversion rate on deep passes, which often has touchdown upside.